Exchange Euro notes for CASH! Here at Cash4Coins we can exchange Euro notes back into Sterling. Because UK banks have a minimum handling charges for foreign bank notes and coins it means that sometimes they will not exchange smaller denomination notes and in particular foreign Euro coins and cents. We make it easier than ever to collect together that cash and exchange it for money that you can use. Think about what you could do with that money – money that is otherwise sitting going to waste. If you have any foreign currency and in particular Euro coins, cents and Euro bank notes then we’ll exchange these back into Sterling for you. Why just have Euro notes and coins just sitting there in your change jar or junk drawer when you can exchange euro notes and coins into cash today! We have helped many people across the UK to get the most from their cash and we can exchange euro notes of any denomination. It’s all part of the service here at Cash4Coins. Many charities (both national and local) as well as hospitals, businesses and banks use our foreign coin and banknote exchange services. 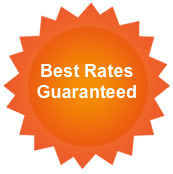 We are trusted to deliver accurate valuations and of course great rates. Our payment is lightning fast – from acceptance, payment is often in the recipient’s bank within 1 hour. The process is really easy…. The process is fast, simple and easy and if you don’t accept our offer we’ll send you your euro notes and coins back via secure post at OUR EXPENSE. So why not exchange Euro notes into cash right now…? After all, they are not doing anything for you whilst they are tucked away in an old wallet or sitting in a drawer. You really have nothing to lose. You do not have to accept our valuation and if you don’t we will send your money back to you. There is no obligation and absolutely no hidden charges. We are one of the easiest money exchange services to use when you want to exchange euro notes and we can assist you right now. If you have any questions on how to exchange Euro notes and coins into cash then our team are on hand to help. We can provide valuable advice as well as hints and tips on the best way to organise a collection and maximise your return. Our business team are on hand for organisations who are looking to monetize or accept Euro payments. Whether you have notes or coins that you wish to exchange we can help. We offer currency exchange for all currencies and can give you a great deal on changing euro notes into Sterling that you can use.